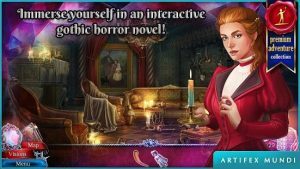 Scarlett Mysteries : FANTASTIC HIDDEN OBJECT PUZZLE ADVENTURE GAME FROM THE CREATORS OF ENIGMATIS AND GRIM LEGENDS! Intriguing storyline, fantastic steam punk graphics. The teleportation map works well. Have only been playing a short time but have found several morphing objects although there is no count given. There are also “father” items as collectibles but I don’t see anywhere that shows what you have. HO puzzles are interesting and kind of tricky. I know AM is not a fan of bonus chapters so I accept their great art, concepts and stories as a bonus.